Please refer to the following list of services provided by the Honorary Consulate in Western Australia for the citizens of Sri Lanka living in Western Australia. It is kindly reminded that for the following services, the Honorary Consulate will attest all the forms and supporting documentation whilst saving the trouble of traveling to Canberra for the citizens in Western Australia. However, it is the responsibility of the applicant to post the attested documentation to Canberra. 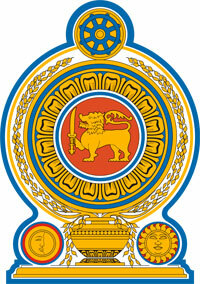 Please note that the application forms and the lists of supporting documents can be retrieved from the main website of the Sri Lanka HighCommission in Canberra under ‘Consular Services’. Copyright © 2016 Honorary Consulate for Sri Lanka in Western Australia. Designed by Vishmitha.com All rights reserved.